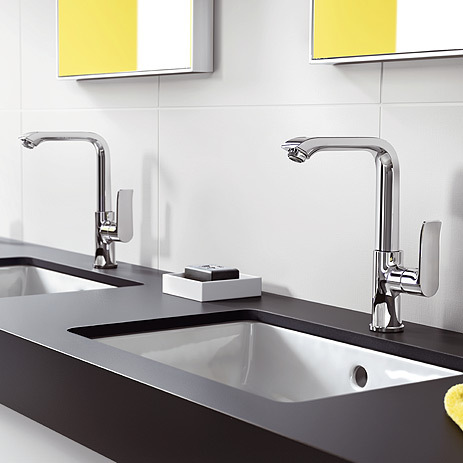 hansgrohe's Modern style is characterised by the art of omission. Five mixer ranges are elegantly discreet and offer your customers more space - for their own personal ComfortZone. 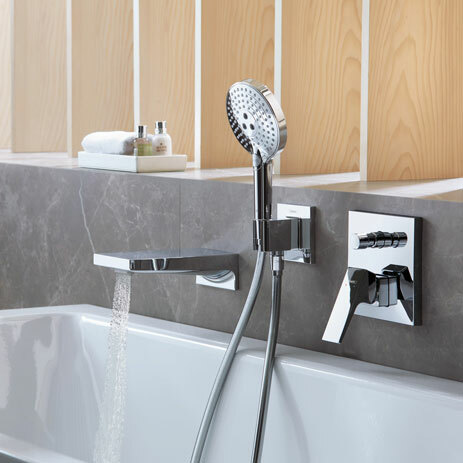 hansgrohe offers various spout heights within the product ranges. 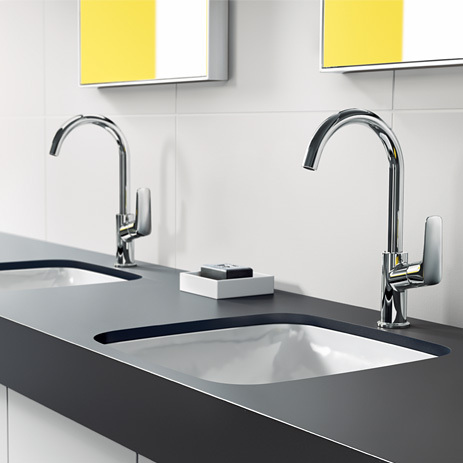 This means that all customers will be able to find the combination of mixer and wash basin that is ideal for them. Even more sales points for you to use in your consultations: Metropol mixers, Metris mixers, Talis mixers, Focus mixers and Logis mixers. 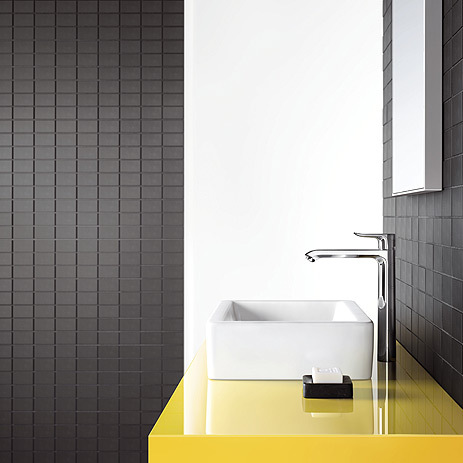 Precise, geometric design on the wash basin, bath tub and in the shower creates a graceful “parallel world” in the bathroom with mixers in three handle variants. Ultimate convenience at the wash basin, in the bath tub or shower - with modern mixers, for comfort at practically all levels. 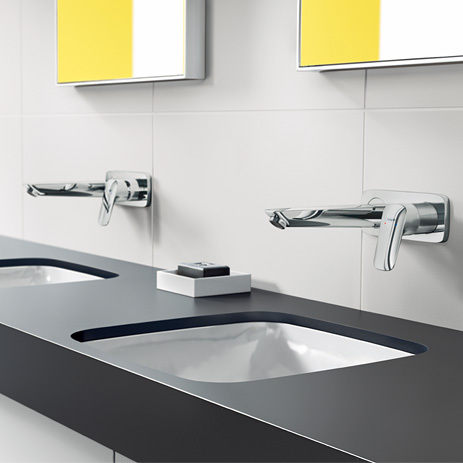 Talis mixers offer more elbow room at wash basins, in bath tubs and showers. Talis mixers feature Select technology, enabling the lever to disappear: form and function come together at the touch of a button. Extra convenience: some Talis mixers offer more space, thanks to their rotatable spouts. 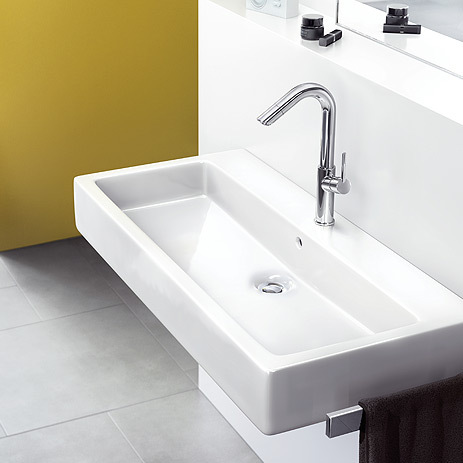 Modern mixers that create ample space on wash basins, in bath tubs and showers, and reflect a clear, two-dimensional design concept. Modern mixers whose appeal lies in their versatility, comfort and extensive product range. A variety of spout heights and variants for all installation situations. 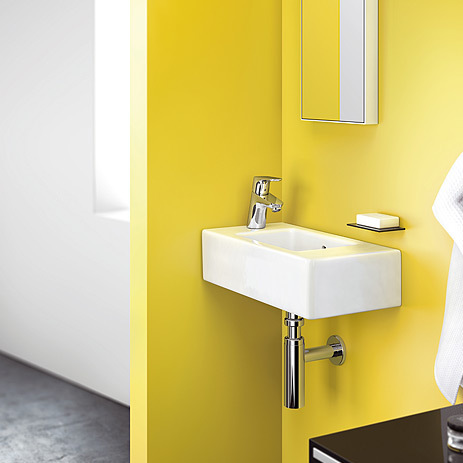 Accessories matching hansgrohe's Modern bathroom style: ranging from the high-quality glass lotion dispenser to soap dishes and through to toothbrush tumblers. They also feature towel racks, roll holders and toilet brush holders.